Your beautiful 15-day love affair with Vietnam will have you falling head over heels for the country's unique and amazing energy. 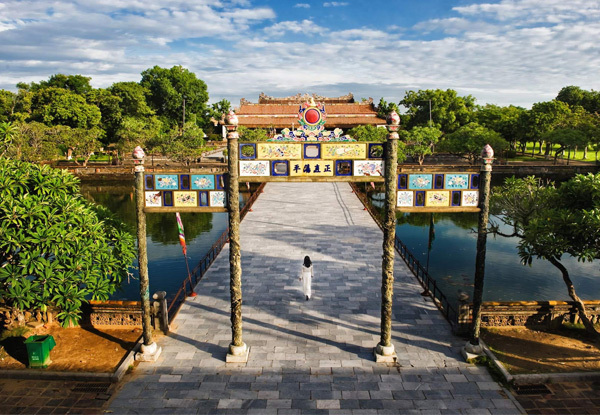 As you tour through bustling cities and beautiful countryside, visiting the many highlights Vietnam has to offer, you'll become immersed in the rich culture and history of the many different regions. Remember your camera because the picturesque landscapes of destinations like Hanoi, the Mekong Delta, and Cat Cat village are just asking to be captured. 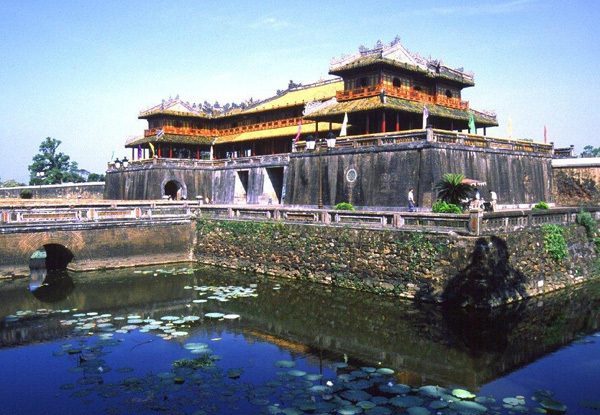 Please remember to book your once-in-a-lifetime Vietnam visit by 31st December 2019. Grab a per-person, twin-share 15-day North & South Vietnam tour including meals, cruise, transfers and domestic flights for $1,099 thanks to Halong Tours Booking. 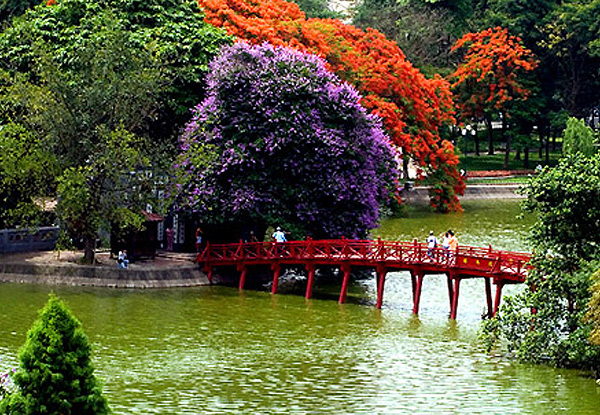 Explore Hanoi at leisure. 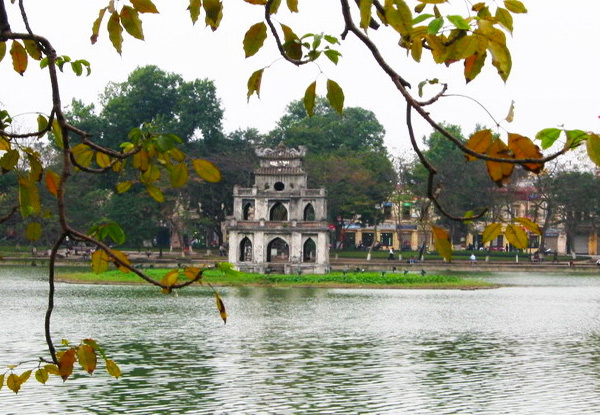 In the afternoon be transferred to the station for an overnight train to Hue (B). Booking essential and must be made by 31st December 2019. Subject to availability. International flights not included. Surcharge of $100USD per person applies for travel during the following periods 24th April - 5th May, 28th August - 5th September, 24th December 2019 to 5th January 2020, 10 Jan - 20 Feb 2020, 30 March- 6 April 2020 payable direct. Surcharge of $35USD per person applies from 1st June to 27th August 2019. Must be used in 1 visit. Deal valid for one person on a twin share basis i.e. two vouchers must be purchased at this price. 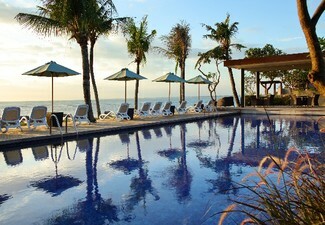 Single supplement surcharge of 399USD payable direct to merchant. Includes: 12 nights' hotel accommodation and one night aboard a cruise ship and one night on train soft sleeper 4 bed cabin sharing, Domestic airfares from Danang to Ho Chi Minh with 20kg checked luggage and 7kg carry-on, Train sleeper from Hanoi to Hue with 4 beds cabin sharing, Airport transfer as per itinerary, Guided HalongBay tour, Sapa, Guided tour to Hue, Guided My Son Holy Land tour, Guided tours of the Mekong Delta and Cu Chi Tunnels, Taxes and service charges & meals as indicated etc. Excludes International airfares, Visas, travel insurance, personal expenses & anything not specifically mentioned in the itinerary. Visas are the responsibility of the traveller. Travel insurance recommended. Value of deal is based on current rates, which are subject to change. Refund available from GrabOne within 48 hours of purchase if specific dates are not available. No cashback. Not to be used with another offer.